There are some great sites from the Internet that provide Blogger and WordPress- theme plugin reviews, hacks, tips, and guides for custom templates. If you have a wordpress blog or blogger blogspot, you can enhance it so that it looks professional and eye-catching for your visitors. 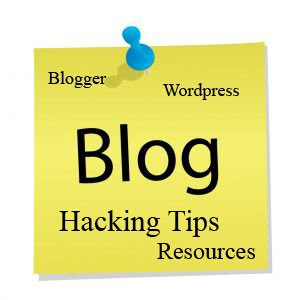 In this post, I will share with you the most popular WordPress and Blogger Hacking Tips Websites where you can apply those hacks into your blog template to make your blog looks different from the rest. Make sure you’ve backup your current template before you do any hackings so that you can restore it back in case anything wrong.